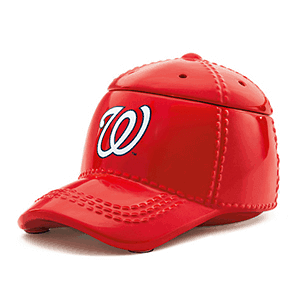 Washington Baseball Fans – It’s hats off to America’s favorite pastime with our NEW Baseball Collection. These officially licensed warmers are “stitched” with your team’s logo. •	Scentsy Fragrance Warmers use a low watt bulb to warm wax melts. These wax pieces are placed in the dish or lid, and then releasing their fragrance within minutes, without flame, soot, or pollutants.